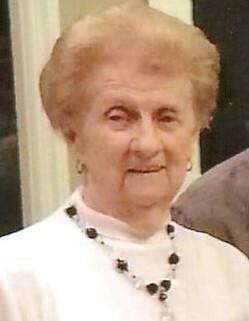 Obituary for Lois J. (Koontz) Fink | Timothy A. Berkebile Funeral Home Inc.
Lois J. Fink, 91 of Bedford, died Saturday, November 17, 2018 at Homewood at Martinsburg. She was born on September 4, 1927 in Bedford, a daughter of the late Carl and Hazel (Diehl) Koontz. On September 4, 1948 in Cumberland, MD she married Fred H. Fink who preceded her in death on August 23, 2017. She is survived by two daughters: Phyllis Scott and husband Thomas, of Belcamp, MD, and Barbara Ressler and husband Barry, of Bedford; six grandchildren: Kristi Arnold and husband Shawn, Jason Ressler and wife April, Jacob Scott, Brian Scott and wife Joellyn, Rob Scott and wife Bobbi Jo, and Rebecca Wolf and husband Tim; ten great-grandchildren; and a sister Elizabeth Bunner, of Abington, MD. She was preceded in death by a brother, Carl Koontz, and a sister Helen Lauramore. Lois was a 1944 graduate of Southern High School, and attended Strayer Business School, both of Baltimore, MD. She worked as a teller for First National Bank for over 18 years. Lois was a member of St. John’s UCC Church, and Order of the Eastern Star Bedford Springs Chapter #41.